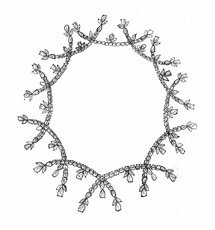 A master jeweler, designer and gemologist, Valentin Magro is known for designing and creating distinctive jewelry for his private clients. 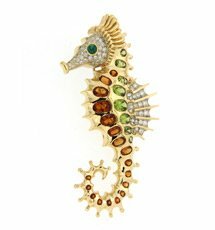 In creating bespoke pieces for his clients, Magro creates unique jewels that enhance the personality and lifestyle of the wearer. 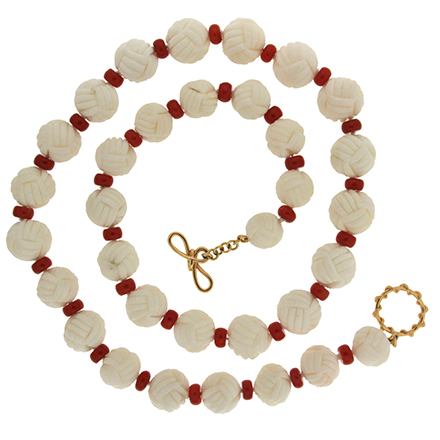 The key design elements that are touchstones of jewels by Magro include; the use of color, inspiration from nature, a focus on balance and geometry and a touch of whimsy. 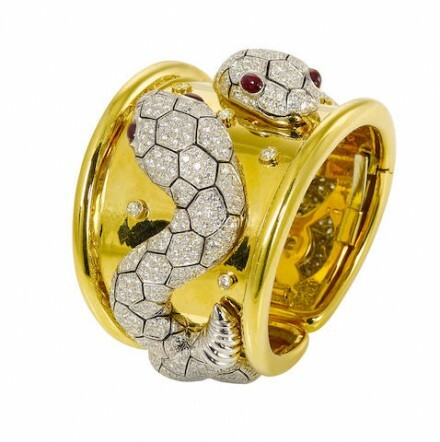 Valentin Magro, artist and designer, is renowned for creating distinctive jewels for his private patrons. 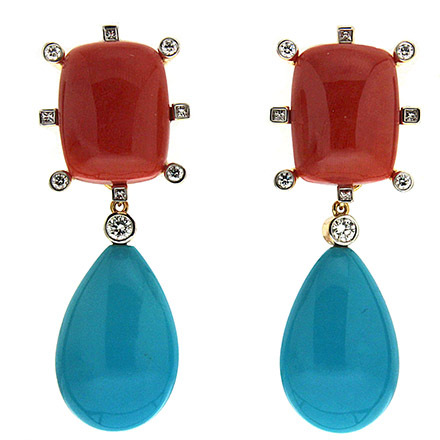 His creations, while each unique, share his signature elements; the harmonious relationship of color, nature, and balance, typically whimsical and bold, they intentionally reflect the personality and lifestyle of the wearer. From a very young age, I had a passion for creating intricate, hand-crafted objects. Starting with wood and stained glass, I found my true passion: designing and implementing my knowledge of architecture into making fine jewelry. 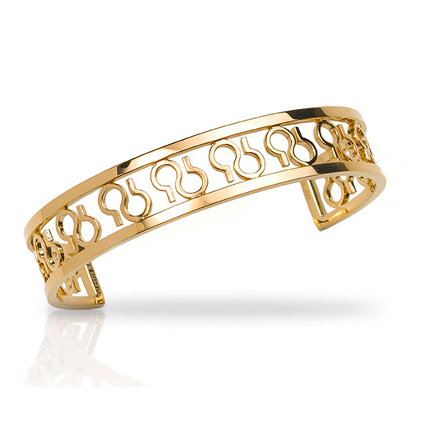 Valentin Magro is a New York City-based jewelry designer who is known within the industry for his superb quality of material and workmanship. Valentin’s mother died from Alzheimer’s disease and he is very passionate about this project as a way of giving back to the Alzheimer’s Association. 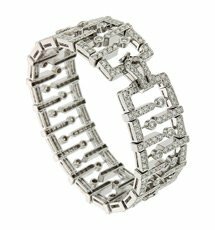 As a young man, Valentin apprenticed under and worked for some of the world’s most highly recognized jewelers in New York before starting his own design house. 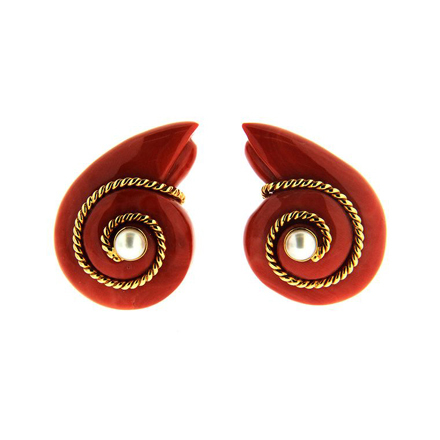 Ellie’s choice: hand-carved Valentin Magro Mediterranean Coral “Snail” earrings accented by pearls with a yellow gold twisted wire motif. Valentin Magro, formerly designer for Tiffany & Co. and Harry Winston, blends this rare stone with a cushion faceted cutting, set in 18kt gold for a unique and enchanting ring setting. 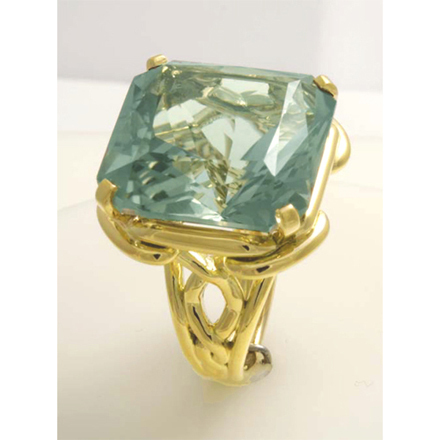 Prasiolite is one of several quartz varieties and is rare stone to find in nature. 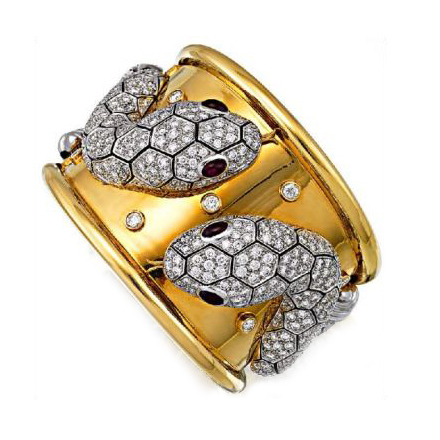 Another highlight was a bangle by Valentin Magro (Lot 66, Gold, Diamond and Ruby Bangle, Valentin Magro) which fetched AUD$98,400 IBP against an estimate of AUD$45,000-55,000. Valentin Magro is a true artisan. 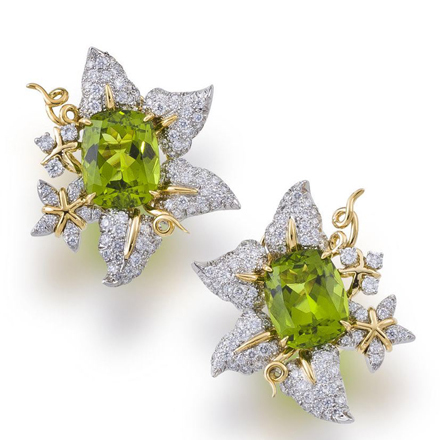 Having spent twenty-five years collaborating with the finest jewelry houses, such as Tiffany & Co, David Webb and Harry Winston, he has honed his craft to create the most spectacular one-of-a-kind pieces. 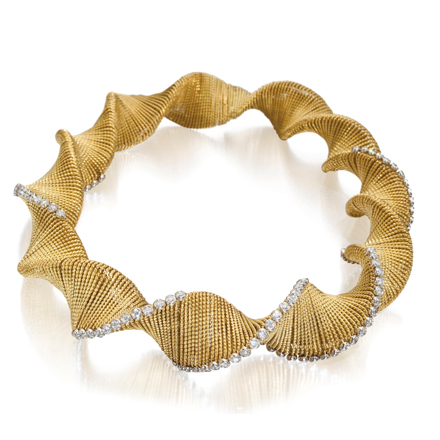 From a classic diamond ring to an extravagant jewel-encrusted necklace, Valentin Magro is the jeweler to the jewelers in New York City. 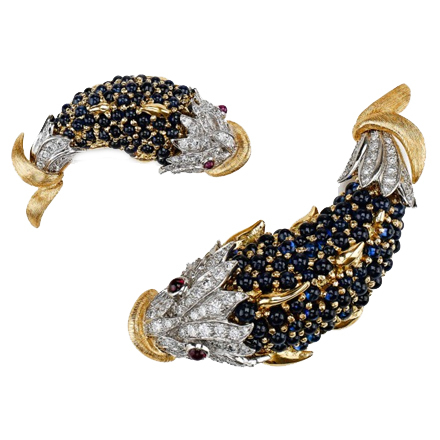 The jeweler and designer Valentin Magro has been creating one-of-a-kind pieces for more than 25 years, ranging from the understated to the extravagant. This takes place in the heart of New York, where one can visit his studio/workshop and view the design process from inception to creation, watching stones and metals turn into unique and singular handcrafted jewelry by a team of skilled artisans. 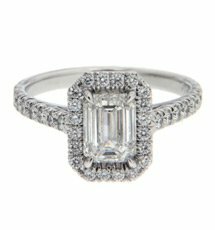 Classically trained at the houses of Tiffany & Co., Harry Winston and David Webb, Valentin carefully oversees all facets of the operation.